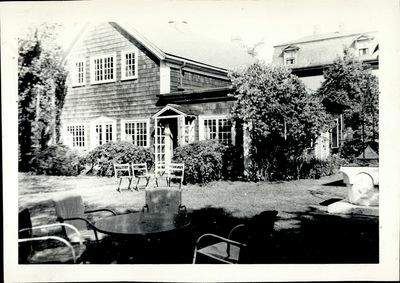 Photograph of the barn and its lawn. There are tables and chairs in the grass. The wishing well can also be seen to the far right in the image.